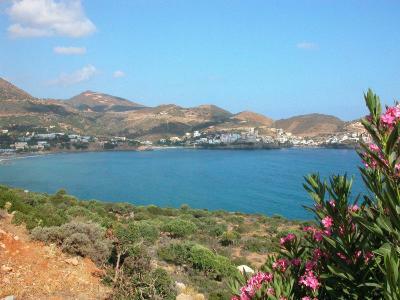 Lock in a great price for Psaropoula – rated 8.8 by recent guests! Really liked the personal touch, not the you're-a-hotel-key-number approach. 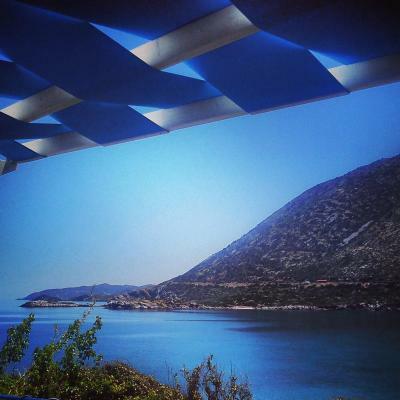 The location was fantastic for a first-timer on Crete. The town of Bali is all walkable, with anything you may need within minutes. Had some awesome meals here and at other places in Bali The bay was PERFECT for swimming. The room was quite small, so most suitable for a short stay - in our case 4 nights, which was fine. Again, the balcony was quite small, but adequate for two people, and with a terrific view over the bay. 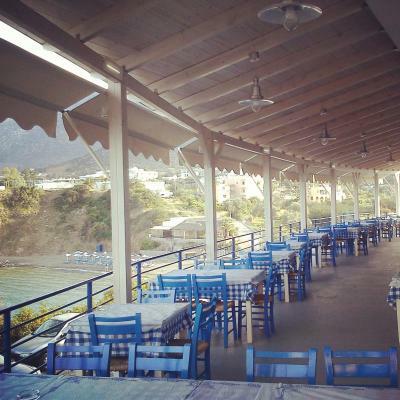 We had visited the Taverna to eat in the past, so pretty well knew what to expect - really friendly and relaxed staff, excellent food - especially the fish (one of the best Tavernas in Bali without doubt). 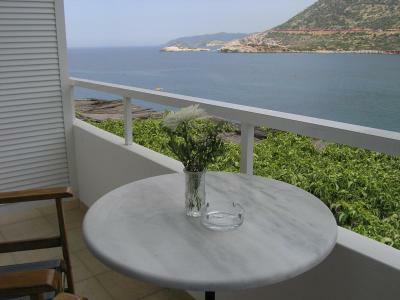 Despite being above the Taverna, the room was quiet and the balcony was private. All in all good value for money, especially since breakfast was included - thanks guys! Location is perfect and all rooms overlook the beach. Tea & coffee making facilities in the corridor if you need them with cups sourced from the restaurant downstairs. The shower was great ... powerful and in a glass cubicle which is sometimes not available in Greece. Large balcony with airer plus great place to watch the sunrise as we did. Breakfast traditional (bread, 2 types of cheese, ham, olives, cucumber, tomato, butter, jam, honey, juice & coffee) which we throughly enjoyed. Also air conditioning worked great and as the room was small it cooled it down very quickly. Bali as a whole has a nice feel to it with ample restaurants, shops, mini markets & beaches. 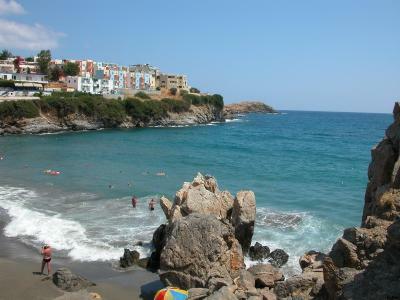 Most beaches are very busy (mid Sept) but you can't fault the clear water which is great for snorkling! 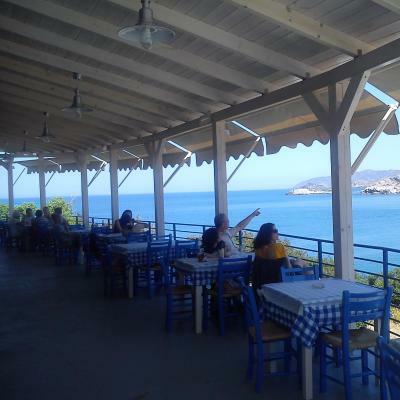 We also had an evening meal at the Psaropoula restaurant downstairs whilst in town and the food and staff were fab too. Wonderful view from the room. Very nice breakfast. Отличное месторасположения, чисто, изумительный вид с балкона, восхитительная таверна снизу 👍, отличный персонал ! Все очень понравилось ! 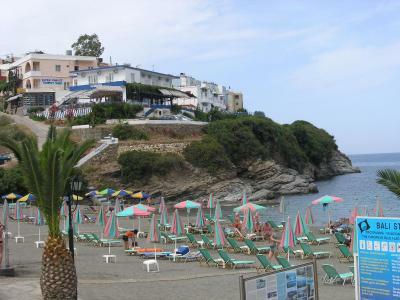 BELLA LA VISTA DAL TERRAZZO SULLA BAIA, OTTIMA LA COLAZIONE, POSTEGGIO COMODO. Вид с балкона выше всяких похвал. Просили заменить номер на номер с одной кроватью - сделали. Приятный, вежливый персонал, удобное месторасположение. Хорошая таверна внизу. Ausgesprochen nettes und zuvorkommendes Personal. 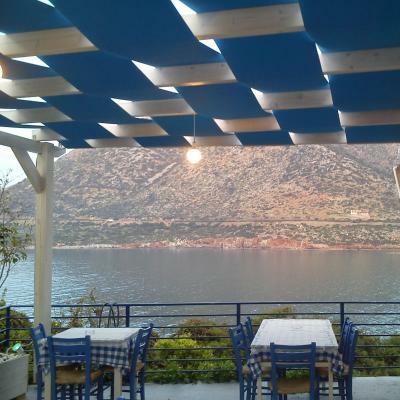 Die Taverne mit sehr gutem Essen und schöner Lage ruhig oberhalbe des Meeres hat noch den wohltuenden Charakter einer echt griechischen Taverne. Das hebt sich positv von vielen anderen Lokalitäten im Ort ab, wo Loungemöbel und Technomusik anzutreffen sind. Вид с балкона выше всяких похвал и отличнейшая еда в таверне. Located right on the beach in Bali, Psaropoula offers rooms that open to a balcony with Cretan Sea views. 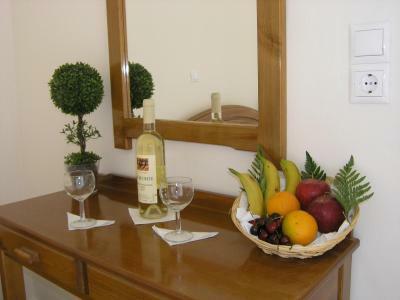 Free WiFi access is available in some accommodations units. 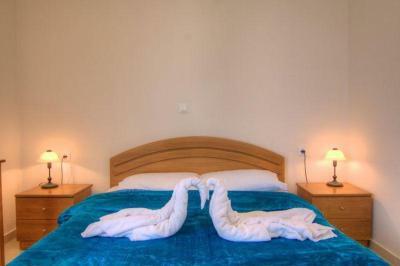 Each room here will provide you with air conditioning, and a private bathroom with a bath or shower. Extras include bed linen. 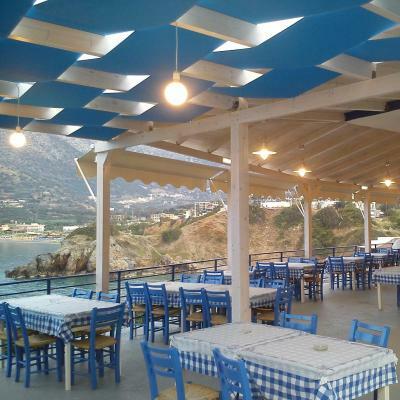 A restaurant can be found in the premises of Psaropoula. Heraklion International Airport is 22 mi away. When would you like to stay at Psaropoula? 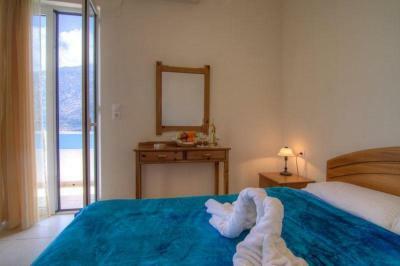 Opening to a balcony with Cretan Sea views, this air-conditioned room includes a private bathroom with a shower. 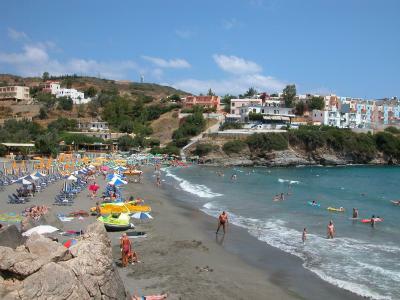 Private parking is available on site (reservation is not needed) and costs EUR 0.01 per day. House Rules Psaropoula takes special requests – add in the next step! 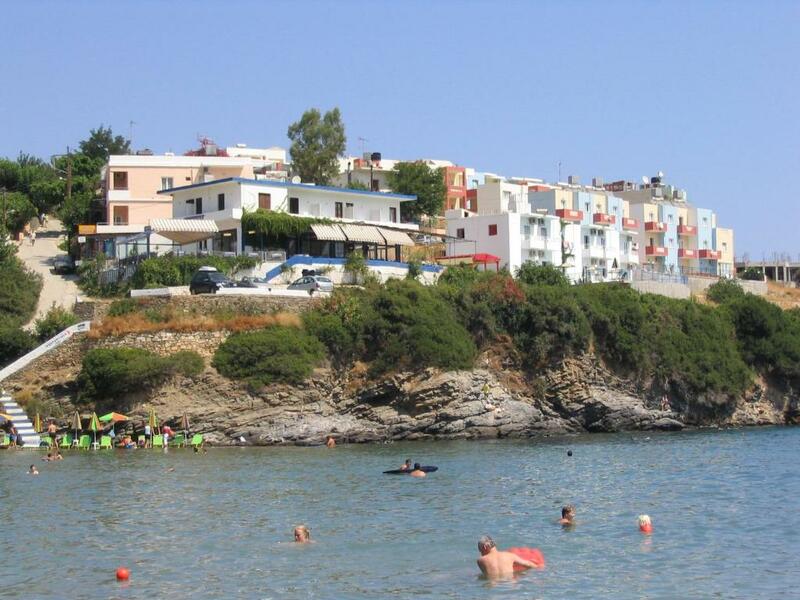 Hard mattresses, but, I found that to be the norm for Crete, so no negative to this location at all. Well, because the room was quite small there was also a general lack of storage space. Bit of a hill up to the Taverna - par for the course in Bali which is a lovely and varied resort, but a bit hilly. No coffee-making facilities actually in the room, but a kettle, cups and tea/coffee/sugar where provided in the lobby on a help-yourself basis - actually quite a nice touch. The room was very small and wasn't as clean as we would have like it with a few hairs and dead insects on the floor when we arrived. We also had a fridge as our bed side table which was a little odd and very loud at night. Hard to find fault.If anything the hill is a little steep for old codgers and the shower is small. Owners and staff brilliant,food excellent.